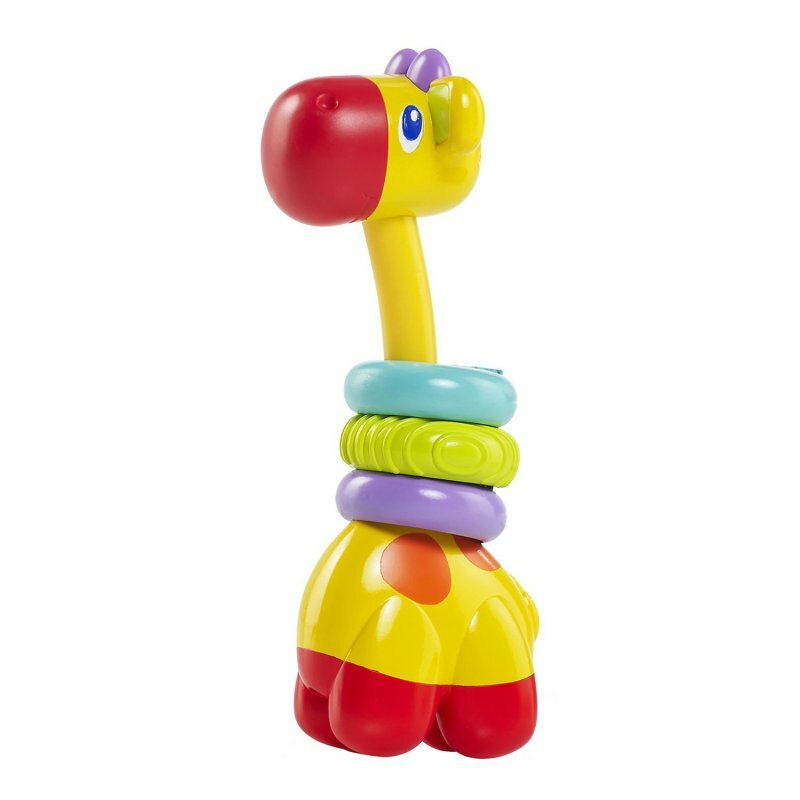 Fun Comes First!™ This little giraffe can soothe baby's tender gums with chewable, sliding beads. Teethable beads slide up and down the giraffe's neck. This cheerful character is easy for little fingers to grasp and a fun way to give baby some relief from teething pain. Soft, teethable beads soothe baby's sore gums. Teethable beads slide up and down giraffe's neck for tactile fun and relief. Dimension (in) 2.1" x 2.1" x 5.9"